Along the south coast of England there are wonderful beaches to enjoy, including the often overlooked South Devon region. Instead of going somewhere you've been before, or instead of going somewhere crowded, how about taking the stress out of preparing for time on the beach with a stay at The Victoria to enjoy some wonderful swimming beaches in the area? 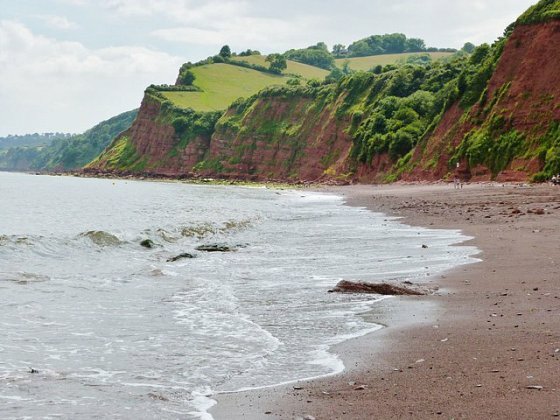 We’re directly opposite Sidmouth beach, and we are within driving distance of the best swimming beaches in South Devon. 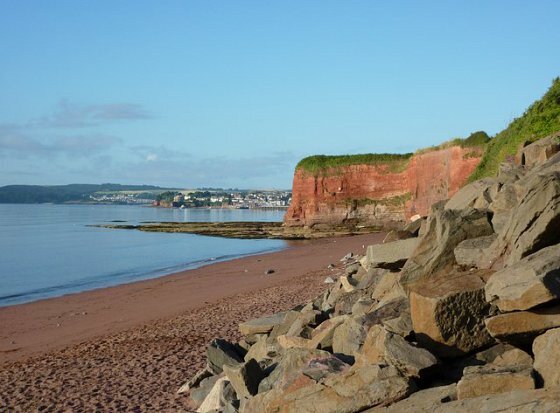 Right on our doorstep, there are two beaches in Sidmouth. 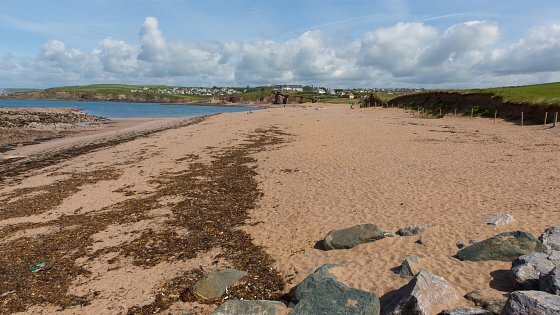 Town Beach and Jacob’s Ladder Beach are a mixture of sand and shingle, that are best enjoyed when the tide is out because it becomes pure red sand. And the red cliffs making a stunning backdrop. 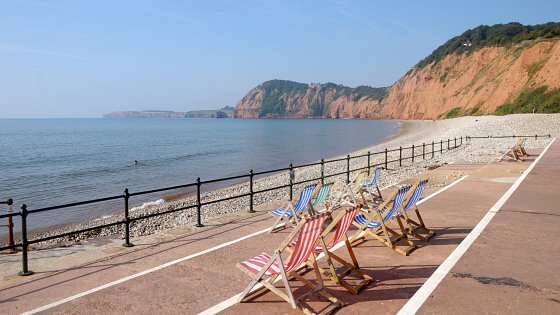 Whilst a shingles beach may not initially appeal to all, Sidmouth often has calm seas with little waves, thanks to groynes along the shoreline. 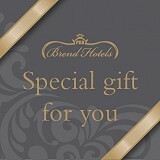 This means that when the weather calls for it a gentle dip in the sea is a must do relaxing experience. Either leave your shoes on land and wade knee deep in the water, or go all out and have a proper swim, you won’t be bothered by big waves and surfers. Then it’s back to The Victoria hotel to get the sand from between your toes. The north end of Thurlestone Beach holds five stars for water quality, and is an excellent choice for swimmers and bathers. Offshore you will find a host of water sports enthusiasts, from swimmers to surfers to divers. Another must add to the best swimming beaches in South Devon list is the hugely popular Ness Cover for avid sea swimmers. It provides superb water quality plus shallow waters for paddlers. Originally popular with smugglers bringing in contraband, the bay is accessed by the intriguing Smuggler’s Tunnel. A slight word of warning; be careful with your footing, as the steps down to the beach can be slippery. Not far from the busy city of Plymouth, about an hours drive from The Victoria, Bovisand is a sheltered bay with golden sands that span a large area. Thanks to low rise cliffs around the bay, the beach enjoys all-day sunshine. Warm waters come up the shore as the gentle slope into the sea is shallow and ideal for swimmers of all ages. The car park is about a five minute walk from the beach, but a steep descent might make getting to the beach less than ideal for those with mobility issues. There’s a cafe too, with toilets. With a scenic view, shallow waters and delightful picnic spots, this is a beach that is ideal for swimmers. Plus, the surrounding area is a lovely place to explore on foot and walk yourself dry. 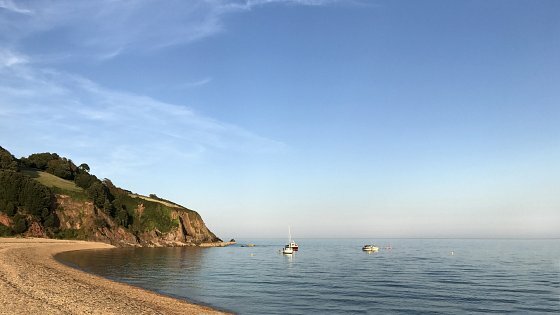 These six locations make up our list of the best swimming beaches in South Devon, but we’re sure you have your own? Tell us which South Devon beaches you love to swim in through The Victoria Facebook and Twitter pages.